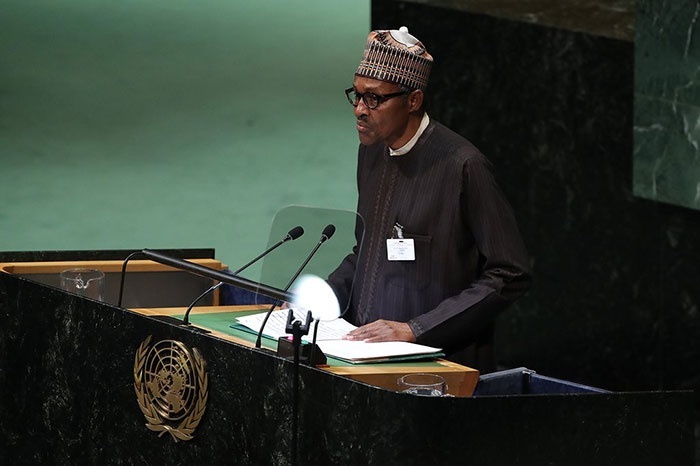 President Muhammadu Buhari says Nigeria is committed to addressing the issues of insurgency and corruption. “I was called Baba Go Slow. Those who were going fast, where did they get to?" President Muhammadu Buhari has a bone to pick with Nigerian elite. He blamed them for remaining silent in the face of alleged misrule of the country by the Peoples Democratic Party between 1999 and 2015. He said while they allowed Nigeria to be mismanaged in 16 years without raising a voice in consternation, they have been accusing him of being too slow. He wondered where those that were considered to be fast got to. According to a statement on Friday by his Special Adviser on Media and Publicity, Femi Adesina, the President spoke at a meeting he had with the Nigerian community in the United States of America on Thursday in New York. The meeting was held on the margins of the 73rd United Nations General Assembly holding in New York. Buhari said he had taken ordinary Nigerians as his constituency because of the way they had been standing by him. He said this was the reason he has been conscious of them. The President said, “They (Nigerian elite) didn’t say a word. Under the PTF (Petroleum Trust Fund, of which he was Chairman), we did roads from Lagos to Abuja, to Onitsha, to Port Harcourt. “Since then, the roads were not done, between 1999 and 2015, yet the elite did not say a word. "We seized what they had looted, but after I myself was put in detention, the politicians were given back what they had looted. How many elites complained about that?